Assistant Attorney General for National Security John P. Carlin and U.S. Attorney Florence T. Nakakuni for the District of Hawaii announced today that Benjamin Pierce Bishop, 60, a former Honolulu, Hawaii, civilian defense contractor and retired lieutenant colonel in the U.S. Army, was sentenced today by U.S. District Judge Leslie E. Kobayashi to serve 87 months imprisonment and three years’ supervised release for willfully communicating classified national defense information to a person not authorized to receive it and unlawfully retaining classified national defense information at his home. Bishop pleaded guilty to the two charges on March 13, 2014. 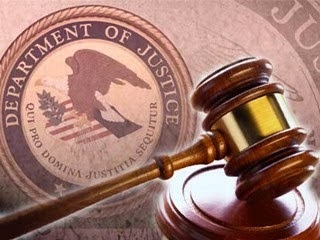 In a plea agreement filed with the court and during court proceedings, Bishop admitted that, on March 12, 2012, he e-mailed classified information to a 27-year-old Chinese woman with whom he had a romantic relationship and who was present in the United States as a graduate student on a J1 Visa. The classified information related to joint training and planning sessions between the United States and the Republic of Korea and was classified at the SECRET level. Bishop also admitted to unlawfully retaining at his residence multiple classified documents that related to the national defense, including the U.S. Armed Forces Defense Planning Guide for years 2014 through 2018, a document entitled Optimizing U.S. Force Posture in the Asia‑Pacific, the U.S. Department of Defense China Strategy, the 2010 Guidance for Employment of Force (GEF) and a classified photograph of a Chinese naval asset that Bishop retrieved from classified sources based on a request from the Chinese woman. The documents had been removed from Bishop’s workplace at U.S. Pacific Command.